Want to bring something special for a brunch you are invited to at a very good friends house? Place salmon on multiple layers of cling wrap with skin facing down. 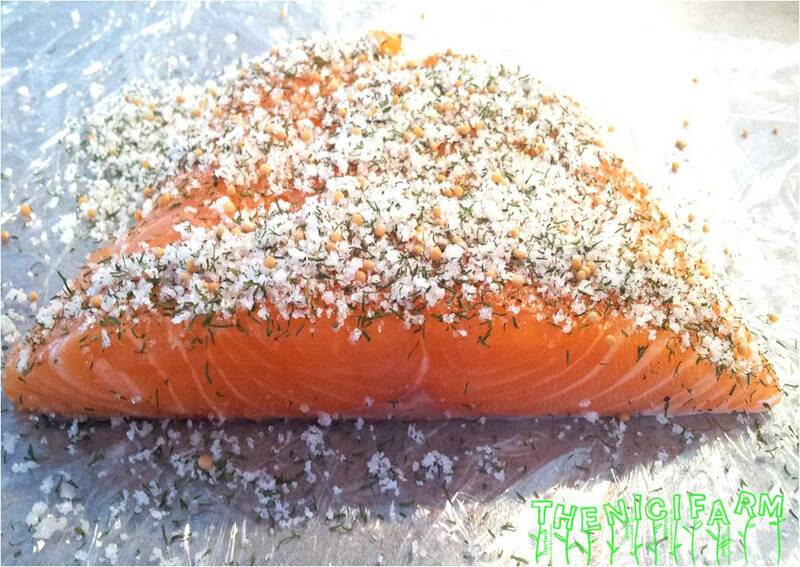 Mix all dry ingredients (except 1 Tbsp dill) and cover meat side of salmon with a thick layer. Close wrap and marinate on a plate in the refrigerator for 24 hours. Turn once after 12 hours. After 24 hours wash salmon with cold water and cover in fresh dill. Cut into thin slices.